For guys thinking of getting Hai Di Lao hotpot delivered to your house, now you can! They have a delivery charge of $44 and min. order of $98 but it comes with EVERYTHING you need to do a steamboat. You only need to supply the table, chairs and a power supply, plus your appetite and family/friends of course. They will come back and collect including the pot and the soup inside when you are done (9-11pm). 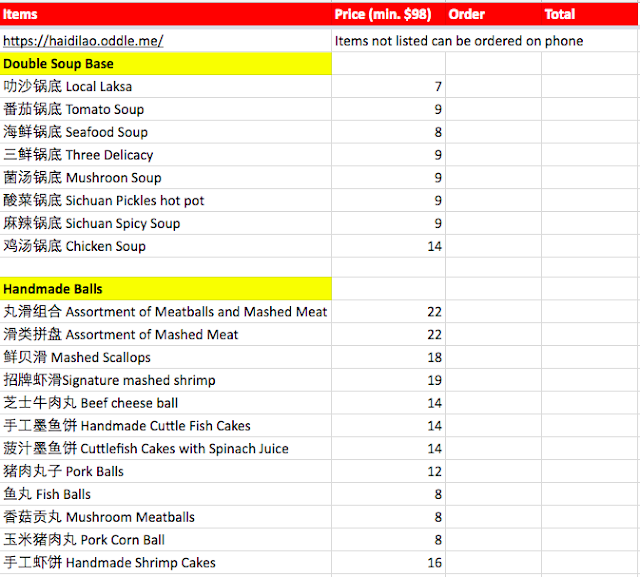 Here's the delivery menu excel doc on Google Drive, if you want to share it and get people to order for you. 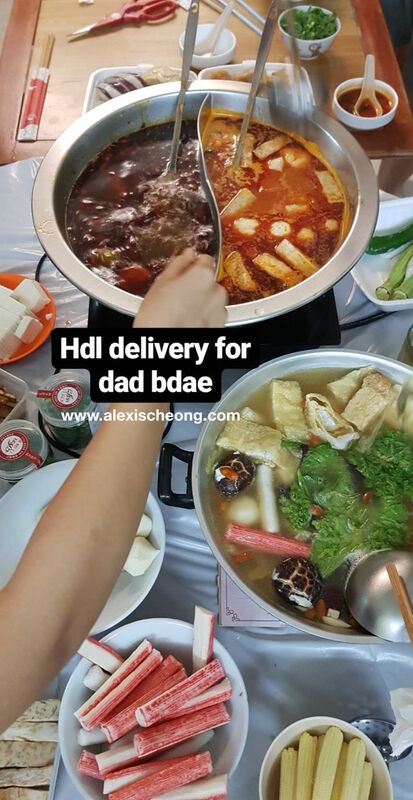 I created it using the menu on their delivery website on Oddle. Hope this helps!